Being a ‘conscious’ marketer is about building authentic connections with consumers based on a commitment to doing good. And it doesn’t have to come at the cost of commercial success. 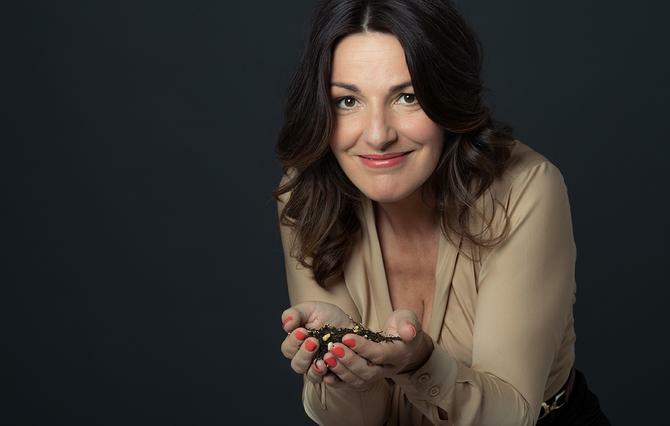 That’s the view of Corinne Noyes, founder of Australian tea brand, Madame Flavour, who caught up with CMO in advance of speaking at this year’s ADMA Global Forum in Sydney on 4-5 August. Her presentation will focus on the role conscious marketing plays in building engagement and credibility. Having spent nearly 20 years in consumer marketing, Noyes said she’d begun questioning her contribution as a corporate marketer after becoming frustrated with the financially driven nature of product development and marketing. “‘Conscious marketing’ is about how I can continue to be a marketer and feel good about it,” she said. “What do I believe in and authentically feel good about in terms of what I am creating, both as a product and as messaging? “For example, in the tea world, we could do things that we know would be popular, such as produce Turkish apple tea, which is mainly sugar with a bit of flavour, but we won’t do it. I don’t feel good about encouraging people to have a lot more sugar. Another practice Noyes criticised was the fear or negativity underlying many brand stories or used to create need. An example she pointed to is the ‘anti-ageing’ vernacular in female beauty advertising. At the heart of the Madame Flavour brand is genuine consumer connections. The principle has manifested itself in personal stories told through each packet of tea, content and social engagement, a monthly commitment to good deeds, the way the team responds to customer feedback, and the products produced. Noyes agreed the need for brands to be more ‘conscious’ is increasingly important in the face of digital connectivity and the Internet, automation, the ongoing quest for the ‘bigger and better’, and mass advertising. Madame Flavour’s approach is working commercially, too. Its blends are now sold in more than 1800 supermarkets including Coles, Woolworths and Countdown, while its premium tea series is available on Virgin Australia flights and in hotels and cafes. The brand sold 13 million infusers in 2013/2014, representing almost 7 tonnes of tea, and is also now expanding into the UK. In addition, it’s just launched its first three loose leaf tea varieties in Coles. “You can absolutely do this and run a successful business. It’s much more authentic and therefore more likely to work,” Noyes said. Related: Can brand builds do well and do good? Noyes said Madame Flavour is in constant dialogue with customers, actively embedding itself in communities via donations, charity partnerships and even school fetes. It’s also engaged via Facebook, Twitter, Pinterest and Instagram, using a combination of conversation and content on tea drinking, lifestyle and wellness, with regular giveaways. Noyes noted each channel has a difference audience, making a distinct approach important. As part of the emphasis on being community aware, Madame Flavour recently collaborated with Smiling Mind, a charity focused on introducing mindfulness principles, particularly to young minds, across Australia. Through its core Web and app offering, the group offers mindfulness meditations. “I felt that [Smiling Mind] intuitively aligned with our brand and what customers are interested in,” Noyes said. “It takes three minutes to infuse a pyramid bag because of the longer leaf… so why not use that time to do a short meditation to relax and ground yourself? Arguably, however, one of Madame Flavour’s most successful engagements has been via a personal letter, penned by Noyes, inside every pack of tea to the ‘kindred spirits’ buying its products. She said the letter was written during her first trip to Sri Lanka to source product, which also held a strong family connection. “I was holding this beautiful pack but something was missing,” she said. “Sometimes we can have beautiful packaging because the designer has got it right, but… there will just be a plastic lining inside the pack and it creates a disconnect with customers. Consumers are responding with stories of their own, Noyes said. “We’ve had about 20,000 letters in six years, and the language being used includes love, thank you, discovery, and feeling part of something,” she said. Being conscious doesn’t mean Noyes has forgotten any of her former marketing training, firstly at grooming brand, Gillette, then with food manufacturing business, Simplot. It was after she left Simplot to have a child that Noyes started helping a friend with a small fair trading business, which, in turn, led to tea. At the time the idea for Madame Flavour was born seven years ago, the tea category in supermarkets was lacklustre, full of old brands and conservative flavours, Noyes said. A key principle was customer research. “Instead of doing research and quant the traditional way, I went to local shops and asked people to talk to me,” Noyes continued. One insight was that tea drinkers related to leaf tea as ‘real tea’ even though most drink bagged tea for convenience, Noyes said. So when she came across new pyramid bags to infuse loose leaf tea in a cup, the premise for Madame Flavour was complete. Noyes chose a feminine brand look and feel because speciality teas are largely purchased by women. The ‘Madame Flavour’ character not only draws on her own experiences, family history and femininity, but also the elegance and wisdom of a French ‘madame’. Noyes admitted, however, that as Madame Flavour grows, she’s constantly treading a line between the brand’s authentic values, and getting caught up in its success. “We recently launched new products, and there was a question for me of is this what people want and need, versus just more stuff,” she said. While part of the answer lies in staff recruitment, a lot comes down to senior managers such as the CMO or CEO genuinely living and believing in those values, Noyes said. She’s also trying to avoid behaving like a large corporate in terms of marketing strategy. The key to retaining a conscious marketing approach will be ensuring Madame Flavour interacts with consumers in places and spaces they want the brand to be present in, Noyes said. “The Smiling Mind partnership is a nice example of staying true to our brand, and we’re looking to commit more to customers, even through face-to-face,” she added.